Fatal car accidents claim the lives of thousands of people every year in Maryland and throughout the country. The statistics are daunting. 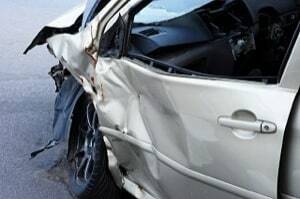 Last year, there were more than 38,000 fatal car accidents which claimed the lives of over 42,000 people in this country. In Maryland, we lost 649 people in car crashes. Incredibly, there were 122 fatal car accident in Prince George's County alone, followed by 86 in Baltimore County, 66 in Anne Arundel County, 51 in Montgomery County, and Baltimore City with 36 (Baltimore City is relatively low on this unfortunate list, which is most likely attributable to a dearth of highway driving within the city limits, particularly the lack of large big rig commercial trucks). The number of vehicle related deaths in Maryland are, thankfully, declining. Traffic deaths for Maryland in 2012 were down from pervious years. We are making better cars and we are starting make more progress in the battle against drunk drivers. But if you lost a loved on in an crash, this is little consolation. Vehicle crashes are the leading cause of death for young people between the ages of eight and eighteen-years-old. Frontal impacts are the cause of death in approximately forty percent of all fatal crashes in Maryland. Side impacts account for thirty percent of all fatal car accidents. Drunk drivers naturally contribute to the fatalities. Alcohol was involved in approximately 30% of these cases; speed was also a factor in 30%. When people are killed in fatal car and truck crashes, their family and loved ones have the legal right to seek compensation for their damages and suffering from the party who was responsible for the accident. Historically, wrongful death in Maryland was not recognized under the common law. Bizarrely, under the common law, when a person was killed as a result of the negligence of someone else, any personal injury claim that could be made for the crash terminated with the victim's death and the family could not make a claim. Today, Maryland, like every state, has a statute that allows for the family to recover in event of a wrongful death. So in fatal car accidents and truck wrecks, we seek compensation on behalf of the victim's family. If you have lost a loved on in a fatal Maryland car accident, call us at 800-553-8082 for a free, no obligation consultation. You can also get a free free Internet consultation.